The slower process of writing by hand allows your brain to think and concentrate on what it is you are writing about. This allows the brain to draw deeper connections and allows the information to be more easily remembered. Several studies have shown that students who handwrite their notes have a deeper understanding of the material, and on average achieve higher test scores. 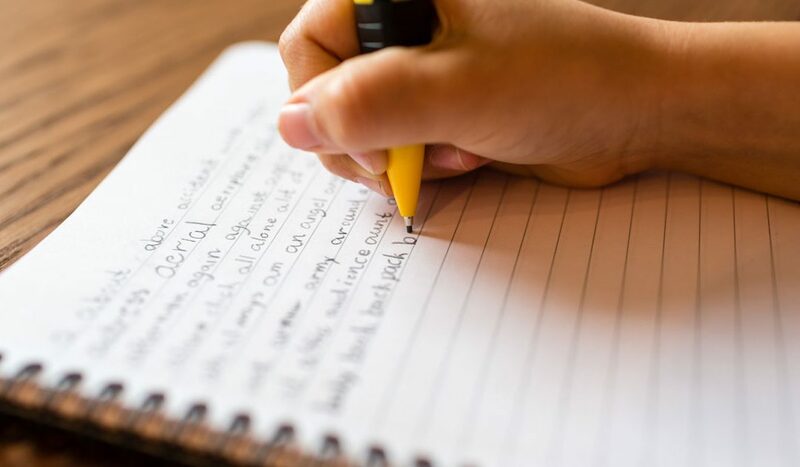 Writing longhand also allows the brain to make better connections as it is less distracted by its surroundings.This translates to better problem-solving abilities and better reading comprehension. Often the online world is a great distraction from work and allows us to enjoy what the world has to offer. However, much of these distractions are unwanted and not helpful to our studies (as many of us have already experienced). On numerous occasions, I have been caught up in a great Youtube video or a Netflix series when I was supposed to be focused on school work. The online world is meant to be distracting. In comparison, handwritten material limits all distractions and, in many ways, draws the mind’s attention to the subject; allowing the brain to remain focused on our initial tasks. It is easy to understand how the act of writing versus typing can increase memory potential and limit distractions, but how can it help one think more creatively? Since creativity cannot be quantified, there are many theories as to why handwriting increases creativity. Some speculate that the movements of writing are linked to simple exercises that carries out into creative thinking. Authors such a Stephen King believe that because handwriting takes more time that the brain has a few more seconds to think creatively. Many believe that the links between sketching and drawing to writing allow the brain to visualize the work that has been created, causing a further understanding of the content and a more creative process. Overall, the amount of people writing on paper is gradually declining as more and more technology is emerging replacing the older methods of conducting work. Though the irony of this post is that it was typed instead of handwritten, I encourage students to practice writing out their notes, drafts, and working out problems on paper, to benefit from this process.